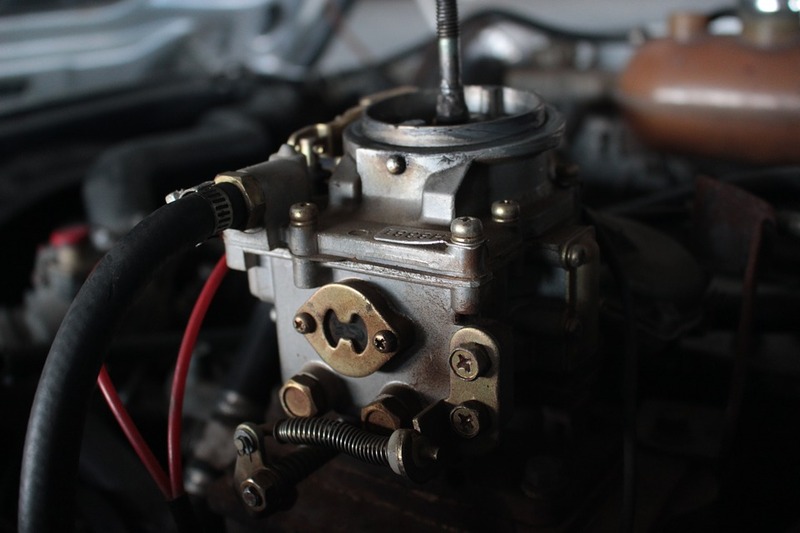 If you have an older car with a carburetor, you know how important it is that it always works smoothly. It is the life-blood of the vehicle that provides the fuel-air mixture that makes the heart of the car tick. 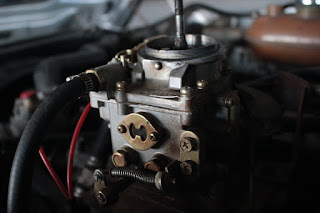 The carburetor should be serviced and cleaned regularly to make sure that it works properly - inside and out - is quite simple and should not take more than 30 minutes! Place some rags around the bottom of the carburetor, as the chemicals can damage all nearby painted surfaces and the rags will stop any runoff. Put on your goggles and spray the "outside" of the carburetor with your lubricant, or the carb and starter cleaner. Be sure to spray the fittings and moving parts attached, such as the connection to the acceleration area. Let the liquid take a moment or two and wipe it off. If there is a large accumulation of sludge and oils, clean them with a small wire brush before the spray dries. Before starting the car, spray a small amount of Carb Cleaner directly into the carb. Then remove your rag and any tools from the engine compartment and start the engine. DO NOT spray the lubricant into the carburetor. Start the engine and use the throttle control because you want to run the engine at a higher speed while spraying more carb cleaning fluid. This helps to spin the cleaner and not block the engine. Spray in short spurs, let the engine run faster and slow it to normal idling and re-spraying. Do this a couple of times. Let the car run for a few minutes in normal idling. Then stop the engine and reinstall the air cleaner and housing. Now drive the car for 10 to 15 minutes or until it is hot, and let the carburetor run completely through the system. Even if you notice no increase in performance, you can be sure that you will do everything to maintain and maintain the carburetor. In some cases, if the carburetor was contaminated by carbon deposits, you will feel increased performance while saving fuel. · You can also add fuel additives to the tank to keep your fuel system clean and the carburetor running smoothly. · Regular cleaning of the carbohydrate at regular intervals is suggested. The time between cleanings will depend on your driving habits, but every 3,000 km or with an oil change is a good point of reference. · If the motor stalls while cleaning, wait a few minutes and restart. · Be sure to change your fuel filter regularly to prevent debris from entering the carburetor. ü Always wear safety goggles when spraying cleaning agents, especially when the engine is switched on, as the draft may shock the chemicals in your eyes. Remove all loose jewelry, such as bracelets and chains, while working under the hood while the engine is running. Always keep in mind the location of moving parts such as the belts and the fan blade. ü NEVER inject the lubricant into the carb; only use it on the external connection areas for lubrication and cleaning.